The professional path to success may seem straight forward: Go to college, graduate, and then start your career. If only it were that easy. Along the way to success, challenges often arise and we may be faced with overcoming our fears. It takes that one moment, that One Fearless Second of determination, inspiration or celebration to live a rewarding and fulfilling life. For Hannah Rothman, it all started on June 1, 2015. After graduating from Northeastern University in Boston, she planned to pursue a career in the health care industry. 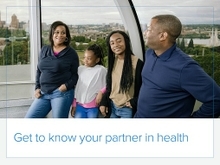 She began the process of applying for jobs and was excited to find an internship opportunity on the Consumer Brand team at Regence to support its Medicare efforts. Despite living thousands of miles away, Rothman was determined to work in the health care industry, and was thrilled to accept the three-month internship in Portland, Oregon. On Sept. 21, 2015, Regence launched the #OneFearlessSecond social media campaign to engage with consumers, share real #OneFearlessSecond moments like Hannah’s, and inspire and encourage everyone to take that step. Hannah’s fearless moment happened when she decided to pursue her career aspirations in a new city, and our members can feel the same sense of security knowing their health insurance plan will be there when they need it, no matter where their fearless journey may take them. 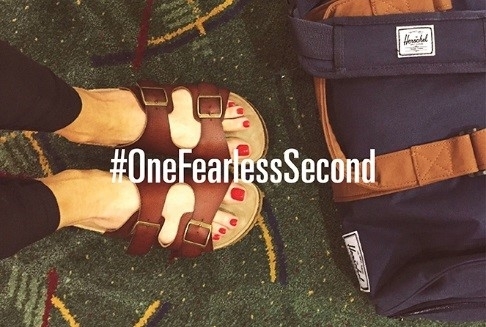 Share your inspiring moment with us on Instagram with #OneFearlessSecond. If you would like to share your fearless moment, email Marketing Project Coordinator Rachele Campbell at Rachele.Campbell@regence.com.